Help Center - How do I create an owner agreement? The Owner Agreement is an important document that determines and regulates the relationship between the Owner/Co-owners on one end and the Property Manager on the other. This contract usually includes all necessary terms & conditions like reserves, management and service fees, property manager authority, etc. 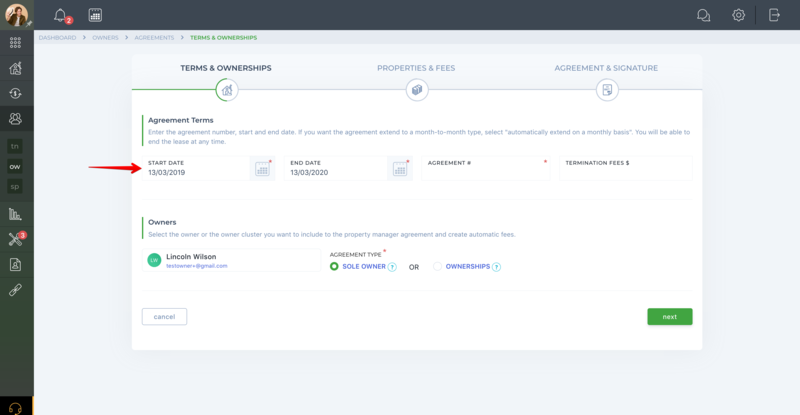 TenantCloud allows Property Managers to create an unlimited number of Owner Agreements for one or a group of Owners directly from their Dashboard. 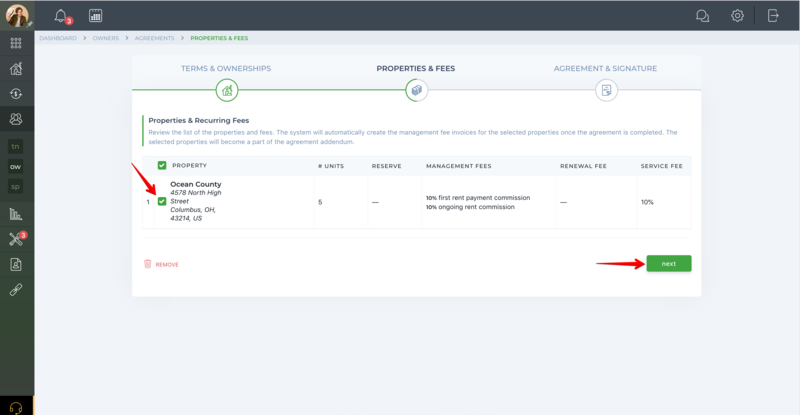 The Owner Agreement option is available only in Property Manager Mode. An Owner has to be assigned to at least one property. Select the "Sole Owner" option to create an agreement for a single property owner, or choose the "Ownerships" option to create a single agreement for multiple owners with split ownership of a property. 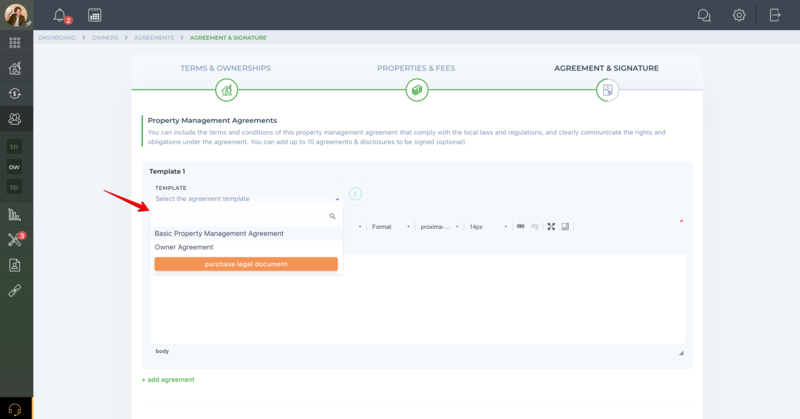 On the next "Agreement & Signature" step, you can add the terms and conditions of the Owner Agreement that comply with local laws and regulations and clearly communicate rights and obligations under the agreement. You can paste the text from another agreement document into the appropriate field. 2. You can select a previously created agreement template from the drop-down list. 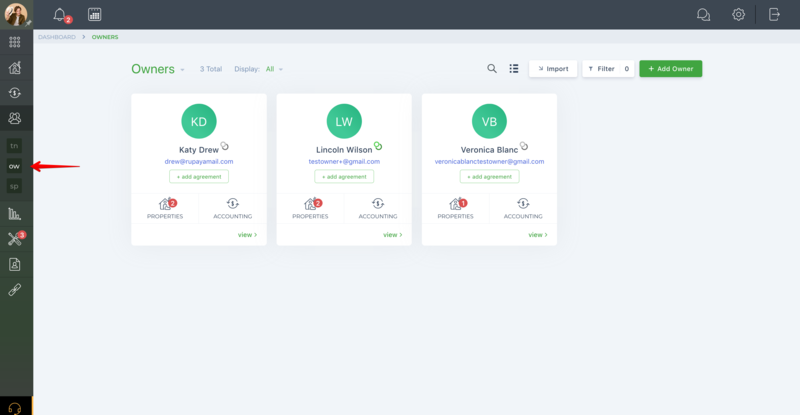 To use this option, first you must go to the "Account Settings" > "Document Templates" page and add the appropriate Owner Agreement template that complies with your local laws. 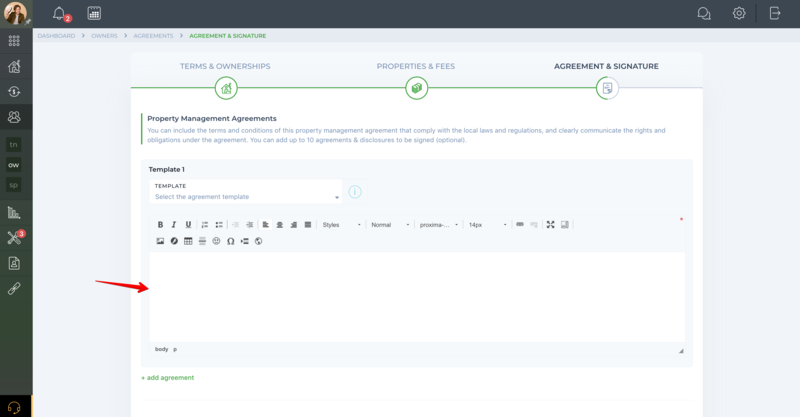 Along with the Property Management Agreement, you can add up to ten agreements and disclosures to be signed, as well as upload any required attachments. 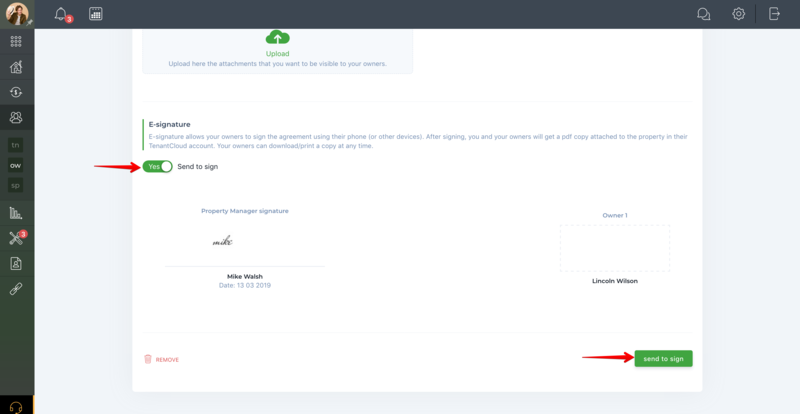 The E-Signature feature located at the bottom of the page allows your Owner(s) to sign the agreement using their phone (or other device). This feature is available in the $9/month Standard Plan. The document is valid at the current moment of time (the "End Agreement" action is available within this status). The document has expired and was not updated (no actions are available within this status). The document is waiting to be signed by the Owner (the "Remove" action is available within this status).